The Elders Voice aims to keep elderly senior citizens safe, comfortable and cared for during their vulnerable times. 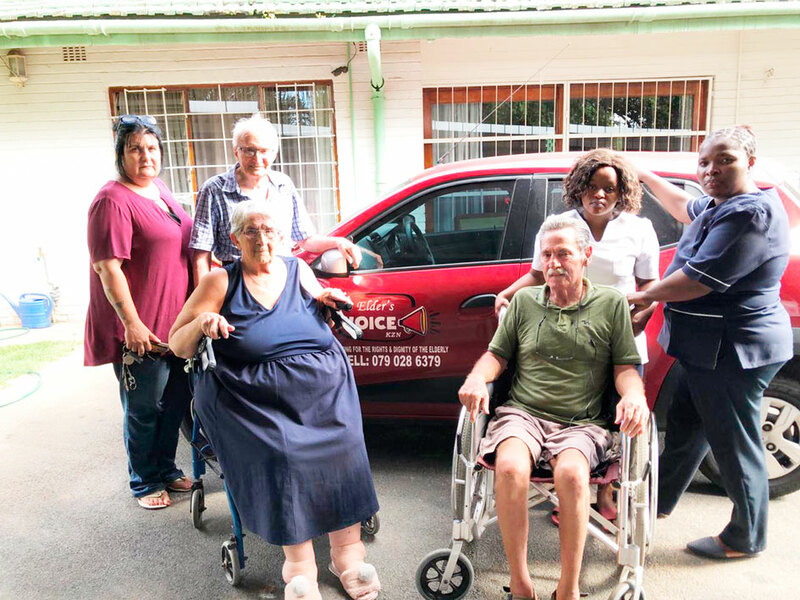 Founder, Jo-Anne Herbst runs the community upliftment initiative with the basic idea of bringing together these elderly senior citizens into a place which makes them feel safe and comfortable. Jo-Anne who struggles to make ends meet on a monthly basis, circulated a video on Facebook during the course of last week, which expressed her concern for family involvement. “I love what I do, it brings me such joy to help these elders who are now the forgotten members of the community, but I am unable to do everything on my own. We do not ask the family for much other than spending quality time with their relatives and an occasional assistance for things like diapers”, added Jo-Anne. The initiative is approximately three-years-old, each residence has caretaker’s present 24-hours a day to assist with the elders, “We never want any of our residents to feel alone, we pair them up two in each room so they always have company and we have caretaker’s present 24–hours a day”, explained Herbst. While speaking to Jo-Anne, she mentioned that the initiative is always willing to accept any form of assistance from the public, “I do not want to ask for money, this is not a money making business, however anyone who is willing to give us some of their time is more than welcome to visit any of our 10 residences and spend time with our lovely elders who would appreciate their company. “We also accept any home cooked meals, our caretaker’s sometimes have a tough time being able to cook and attend to the elders”. Jo-Anne also mentioned that one of her biggest difficulties is transporting their patients to the different hospitals, “I have an extremely small vehicle, most of these elders are using some sort of walking aid, I can only transport one at a time, which usually results in multiple trips to the same destination. “If anyone can sponsor or loan us an unwanted or old bigger vehicle we will forever be grateful”, she added. This Human Rights Day, The Elders Voice is encouraging the community to spend a portion of their time with the forgotten members of the community. The Elders Voice in Amanzimtoti can be contacted via their social media page or website for anyone looking for more information, or who would like to assist them.